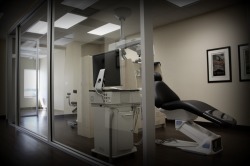 Skyway Endodontics is a state of the art endodontic practice employing the latest in technology. Dr. Rylan Gustafson and Dr. Chad Gustafson are strong believers in the use of technology to assist in delivering the best care possible. The use of the dental microscope is central to their practice as specialists in endodontics allowing them to see the finest intricacies of your tooth. Important details are photographed and presented to the patient to assists in education and decision making.